When I asked the twitterverse which hair straighteners to next invest in, the overwhelming response was to try Cloud Nine. 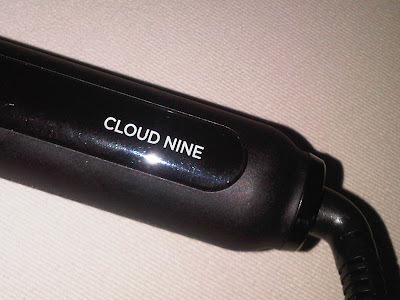 From the same company as GHD, Cloud Nine offers electrical hair care that not only gives you awesome results, but also focuses on the health and shine of hair. 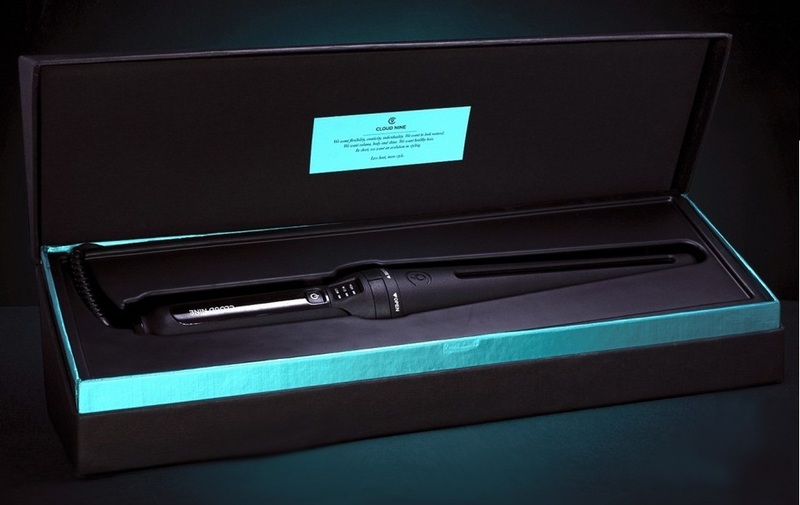 They’ve just launched ‘The Wand’, a curling tool which is designed to give you professional curls, whatever your hair type, whatever your style. 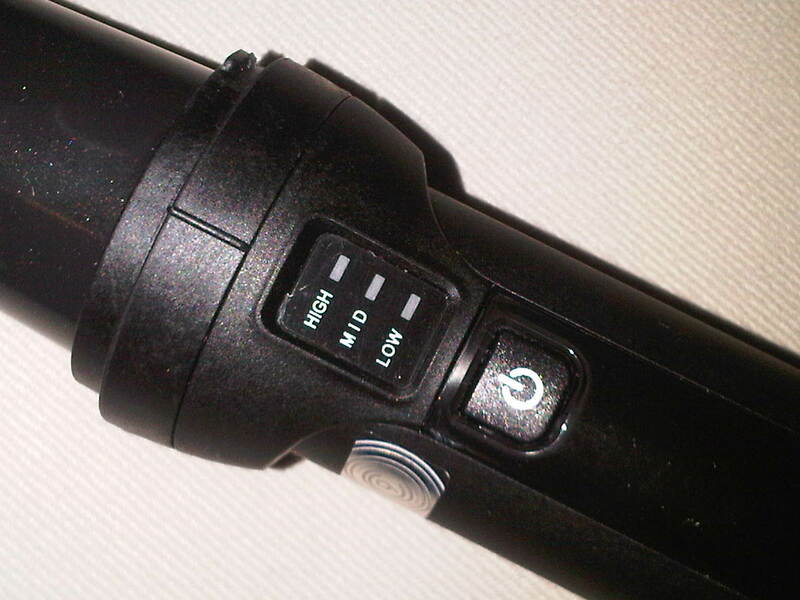 The three temperature settings allow you to ensure the right setting for your hair and its ‘unique secret ingredient’ within the barrel gives your hair added shine and lustre. 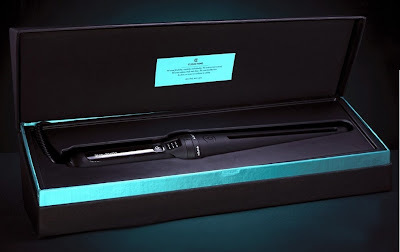 The difference between this and other curling wands is the ability to control your curls – the width of the wand decreases towards the end so it’s easy to create loose, tight or bouncy curls with one tool. The wand gets super dooper hot (I burnt myself the first time I used it and two weeks later it’s just about healed!) so it’s much quicker to use than traditional curling tongs. There’s no ‘clasp’ function so you have to physically hold the hair in place using the glove provided, but this gets rid of that awful square bit at the end of your hair you’d normally end up with. The wand itself it quite substantial, although not mega heavy, but you will need to practice a few times to get where to put your hands without burning clumps of skin! What I did notice though, and really loved, was how long my hair stayed styled for. Normally my curls drop by lunchtime, but with The Wand they stayed in place all day long and beyond – 13hrs later my hair still had about 75% of the curl it started off with that morning. Because the heat helps to set the curls in place you also don’t need a lot of hairspray or product, making your barnet shiny, bouncy and still have that ‘run your fingers through it’ feeling. I have to admit this is the best styling wand I’ve ever tried – so much so that I’ve even told my housemate she has to spend the next week using it to prove how good it is. The downside? It’s not cheap. 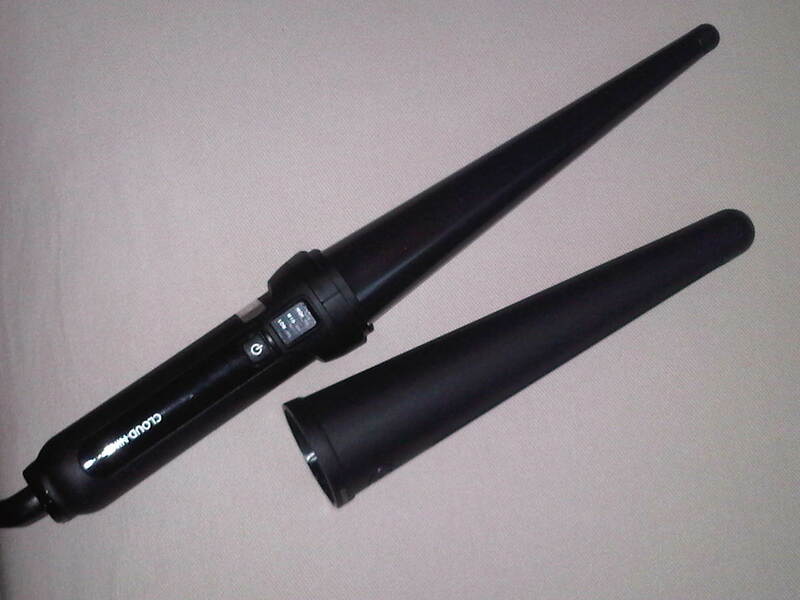 At £119 it’s pretty damn costly so you’d need to be really into curling your hair to warrant spending this amount. Knowing that I rarely curl my hair I don’t think I would in all honestly spend so much, but if I was going through a curly phase it would definitely would be the top of my list. Fine out more on the Cloud Nine website. Previous Post Benefit: They’re Real! I really want to get a friend one of these for her bday, do you know where i can get them online for cheap. I have just had a rather expensive MOT service on my golf, so i do not think i can afford to get them this month.